Project; approximately 600 square feet. This San Jose concrete floor was covered in glue from previous carpet. Assessing these floors is sometimes not possible. Another potential problem is that this was on the third floor of a commercial building which can have concrete so soft that it is not possible to polish. 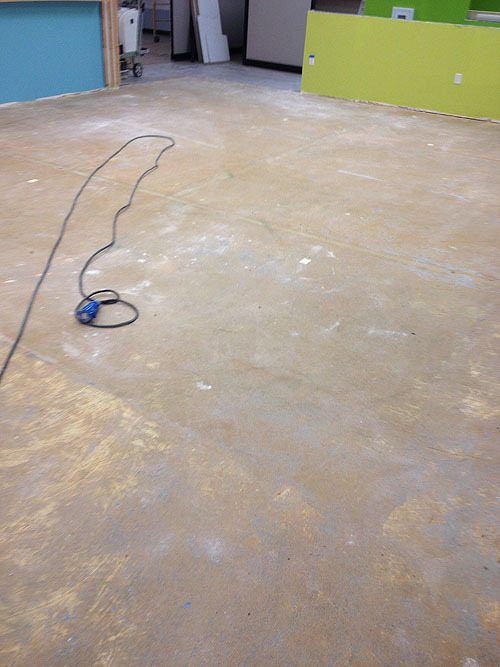 On these soft floors, a simple test with ascrewdriver would gouge the floor. We did test the floor before putting a bid in and decided that it was a good candidate for polishing. The customer was happy with the results. 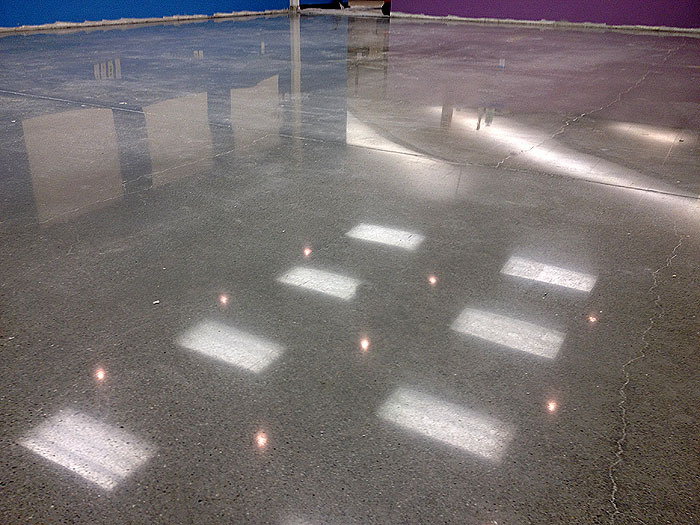 Love Your Floors assists families and businesses all over the South Bay with their concrete polishing, grinding and staining, stone restoration, maintenance and surface preparation. Many of our customers come from San Jose and surrounding areas.